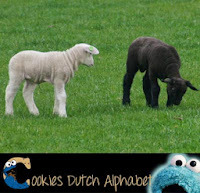 Another animal me love very much is the lam (lamb). Baby sheep are real soft and cuddly. 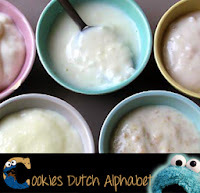 The Dutch like to eat lammetjespap (lamb’s porridge). NO! It is not made out of soft and cuddly lambs! It is some kind of porridge made out of flour, milk, a pinch of salt and some brown sugar. It was given to babies in the old days after the breast feeding period. But it still is eaten as a light porridge when children or older people need to get well. 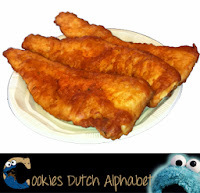 Also very yummy is a lekkerbekje (baked cod) that is often eaten with a special sauce. Me like it with fries and a cool tall glass of lemonade (lemonade). 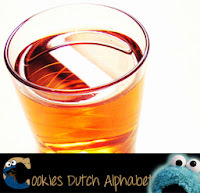 The Dutch like ranja or grenadine for their lemonade. 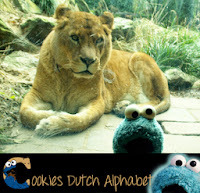 But me would not be a nice little cookie monster if me did not put some cookies or candies in my blog. 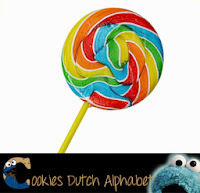 L is also for lolly (lollipop), lange vinger (some kind of Dutch cookie, also known as lady finger) and Limburgse vlaai (pie from Limburg). 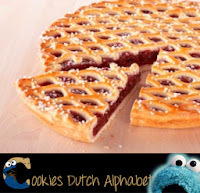 Me love all kinds of vlaai, especially with fruit, custard and some whipped cream… But there is also vlaai with cookies, vlaai with chocolate mousse, vlaai with peach... there are really a lot of different pies from Limburg! 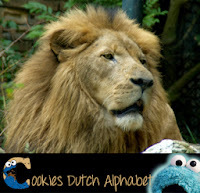 And with that me concludes another yummy episode of Cookies Dutch Alphabet! 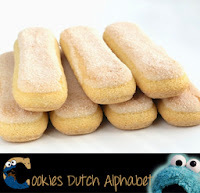 Next week: the letter M of Mmmmmm! Baby Bonobos Love Sesame Street too! 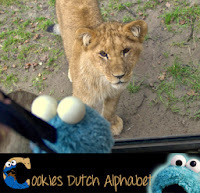 Baby Tigers Love Sesame Street!